Accounting for greenhouse gas mitigation and emission reductions is essential to achieve climate change mitigation. IN response to needs expressed by many countries, the GRA and the CGIAR’s Research Program on Climate Change, Agriculture and Food Security (CCAFS) are working together to help countries strengthen how they measure, report and verify (MRV) agricultural greenhouse gas emissions and mitigation. Agriculture contributes around 11% of global greenhouse gas emissions. In addition, agricultural emissions are significant at national levels; agriculture contributes an average of 35% of emissions in developing countries and 12% in developed countries. Technical mitigation potential in the agriculture sector is high; there are many low and no-cost options to reduce greenhouse gas emissions, including by improving the efficiency of production. Just over 100 countries include agriculture in their Nationally Determined Contributions (NDCs) under the Paris Agreement and are working to identify and implement mitigation solutions. However, many countries cannot document emission reductions achieved through productivity gains and more efficient farm management because national greenhouse gas inventory reporting systems and supporting data are insufficiently developed. Countries need more robust MRV systems for agricultural greenhouse gas emissions to accurately reflect their national circumstances and transparently demonstrate mitigation. Tools and resources to help countries tailor MRV to their production systems and policy priorities are critical. This need has been identified by a number of LRG countries, and is reflected in the LRG’s year-on-year adoption of a capability building focus on (i) supporting countries to work towards Tier 2 inventories and strengthened MRV systems for livestock emissions and mitigation, and (ii) enhancing countries’ readiness to engage in projects that improve livestock productivity and reduce emissions. The GRA and CCAFS have been working with MRV and greenhouse gas inventory experts, practitioners and policy-makers from both developing and developed countries to produce a range of resources to help strengthen MRV systems for agricultural greenhouse gas emissions and mitigation actions. 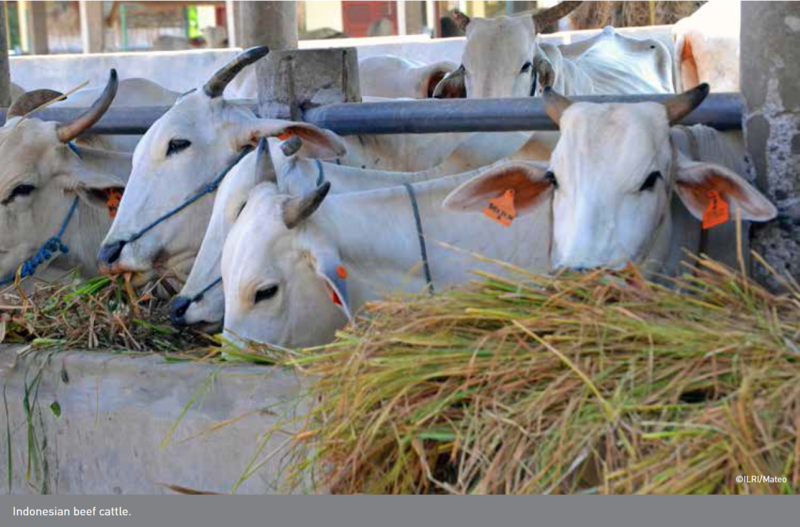 The resources are initially focused on MRV specific to livestock, reflecting the fact that 60% of global agricultural greenhouse gas emissions come from that sector. MRV resources for other agricultural sectors and cross-cutting issues will be developed over time. The MRV Platform for Agriculture provides information to guide MRV systems for agricultural emissions and mitigation, such as for NDCs and Nationally Appropriate Mitigation Actions (NAMAs). The platform houses a wide range of tools, approaches and case studies about how to design and implement MRV of GHG emissions and mitigation actions in the livestock sector. The platform will expand to include other agricultural sectors over the next year. The collection can be accessed interactively via www.agMRV.org or downloaded as a standalone PDF. The guide will be available in July 2019 via www.agMRV.org, as well as this page. This was a major piece of work that the Livestock Research Group undertook with CCAFS and UNIQUE Forestry and Land Use in 2017 to characterize international requirements for MRV greenhouse gas emissions from livestock, and document countries’ experiences and approaches. The report, ‘Measurement, reporting and verification of livestock GHG emissions by developing countries in the UNFCCC: current practices and opportunities for improvement’ (also in French and Spanish), identifies opportunities for improved MRV systems to enable developing countries to meet their mitigation goals. A summary for policy makers is also available. The joint project received funding support from the New Zealand Government, the United States Agency for International Development, and the World Bank.